Shopping for RV insurance is easy with Hesse Insurance Agency. We compare quotes for you! Contact us or request a quote comparison to get started. Emergency expenses: Pays for alternate living arrangements if your RV is uninhabitable due to a covered loss. Towing and roadside coverage: Although you can get roadside assistance on a standard auto policy, towing an RV is much more costly as it typically requires a special tow truck. 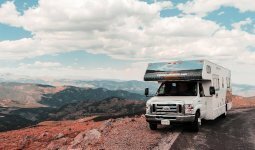 Full-timer coverage: If your RV is your full time home, you can add many of the same coverage options as a homeowners policy.